Was the Wii U a success? By a lot of metrics, such as sales compared with the other consoles, the answer is an unequivocal no. 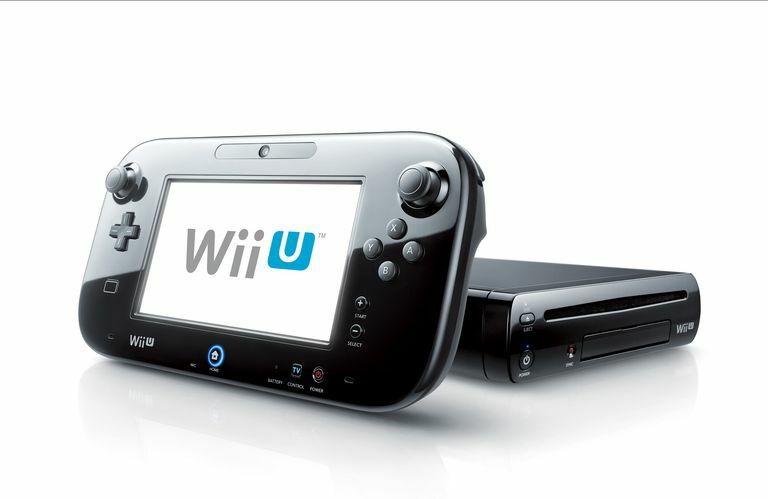 We recognize that point and can list 10 reasons why the Wii U should be considered a failure. And yet, in some ways, in spite of game shortages, missteps, and poor sales, the Wii U was an exciting marvel that brought some great things to the gaming space. Here are 8 ways in which the Wii U really is a terrific success story. Complain about the deficiencies of the Wii U all you want; it's what you need to play Nintendo games. Mario Kart, Smash Bros., Legend of Zelda; that's what you get from the Wii U, and can't get elsewhere. With solid exclusive second-party titles like Xenoblade Chronicles X and added into the mix, there's just too much to miss when you don't own a Wii U. The touchscreen is just a really fascinating idea. It is a flexible controller that can be a rifle scope, a motion tracker, and the easiest way to root around your inventory. While not enough games have taken real advantage of it, those that have embraced the technology have created wonderful, unique experiences. In some ways, Nintendo is very smart, but at times the company seems like an idiot savante — innovating brilliantly while failing miserably in the basics. The online space was a huge weakness of Nintendo's. The Wii U started off with some interesting online features, like a full social environment called Miiverse, an eShop that sells virtually every game available for the Wii U, and support for online streaming services like Netflix and Hulu. Mario Kart 8 showed off quick match-ups and its MKTV was a wonderful way to share game highlights, even spawning an amusing Luigi internet meme. With Splatoon, they finally created a game built entirely around online play, and it was as brilliant and as popular as their traditional couch-multiplayer titles. It's a whole new Nintendo. When the Xbox introduced a comprehensive online system, the critics fell in love with it. Some more frugal users, however, were annoyed that they also charged a fee for something that they were getting for free elsewhere. Sony followed suit with the PS4, but Nintendo, which always goes there own way, charges nothing for online use, whether it's online gaming, experiencing Miiverse, or browsing the internet. Critics often complain when Nintendo refuses to follow the industry's lead, but in this case, that approach puts Nintendo on top. Sure, if you're a college student who wants to waste away the hours blowing stuff up, the Wii U isn't going to be your first choice. But in the way people used to think of video games as just for kids, a lot of older gamers now almost seem to forget how many little kids actually play video games. And Nintendo makes great games for kids. They also make great games for parents to play with kids. And the Wii U has a greater concentration of those games than anyone else. Yes, the PS4 and Xbox One are more powerful than the Wii U, and yet, the most beautiful Wii U games are as gorgeous as anything on the other consoles. Look at Mario Kart 8 or Xenoblade Chronicles X; how much would the power of the PS4 improve them? If it’s not about graphics, then it must be about offering a new experience, and that is what Nintendo does. Power or no, until Microsoft and Sony innovate the way Nintendo does, the Wii U is going to be the most interesting console on the market. Video game controls used to be pretty simple; you had a couple of buttons and something to control direction. Then you got more buttons and knobs and triggers. Then with the Wii you had gesture control, which was promptly copied by Sony and Microsoft. And now Nintendo has added a touchscreen. This means that games can be controlled via touchscreen, buttons and knobs, motion control, or any combination. This has allowed a wide variety of game experiences. No system has ever offered so many ways to play games. While Microsoft and Sony have focused on a “same but better” model, Nintendo has stressed innovation in their recent products with great success. The Wii opened up a whole new approach to gaming and Microsoft and Sony have copied that approach. Arguably, Nintendo is weakest when they play it safe, as they did with the GameCube. It’s when they take chances that the magic happens. Even if the Wii U didn't sell as well as its competitors, it's still the most interesting home console on the market.